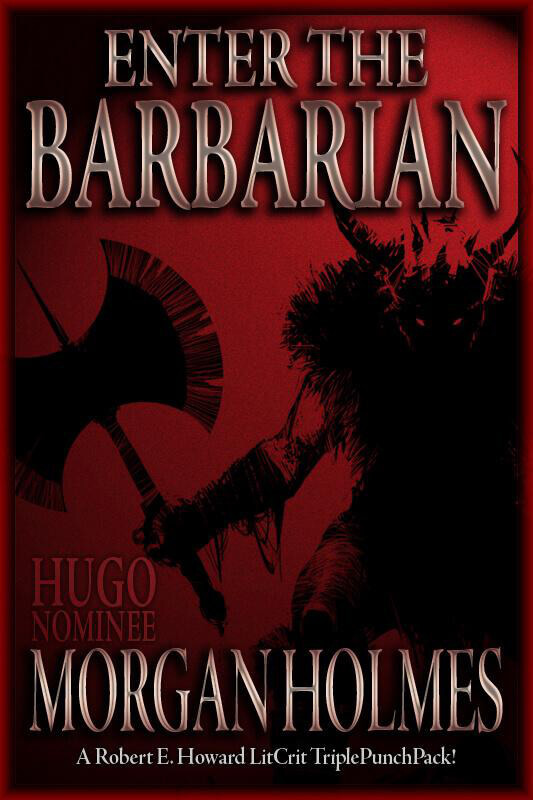 For the delectation of Sword-and-Sorcery fans everywhere, how about a gander at another proof cover for the eBook Enter the Barbarian by Morgan Holmes? Maybe you’d call it a draft cover, though, since it never went out with a proof copy — the one I showcased the other day was on early electronic copies that got proofread. This one got mocked up next. But neither of these made it to the release copy that went on sale on Amazon for Cinco de Mayo. Morgan’s book hit the ground running, coming out of the gate at number one in Hot New Releases for Horror Litcrit when stats started to surface on May 7. I think a title can only be in the Hot New category for a month or two, just after release — Morgan has been at number one or two this whole month. Plus in regular sales he did something that is almost impossible: The Morgman unseated Thomas Ligotti’s The Conspiracy Against the Human Race from number one for a couple of days. I’ve been following the Horror Litcrit lists since the trade paperback of John Haefele’s hefty tome on the Derleth Mythos came out, and have seldom seen any title bump Ligotti from number one — and when they do, usually it is only for an hour or so. Not only that, but Morgan entered the fray just when the rules for the Horror Litcrit list became murky. I used to look the list over and think everything on it was kosher, except for the occasional book on The Bible or something that got stuck in the wrong category. But lately someone has allowed the Hellfire series of “paranormal romance” novellas to show up on the litcrit list. Dudes, all those titles are fiction, they belong in some other category. I wonder if some staffer at Amazon dozed off and stuck the Hellfire eBooks into litcrit by accident or if the publisher thought they’d look more successful if they appeared up against litcrit — considering how poorly litcrit sells. As it is, they are clunking up the landscape, and I wonder if other people appreciate the irony as much as I do: the Hellfires are being outsold by regular books of Horror Litcrit! 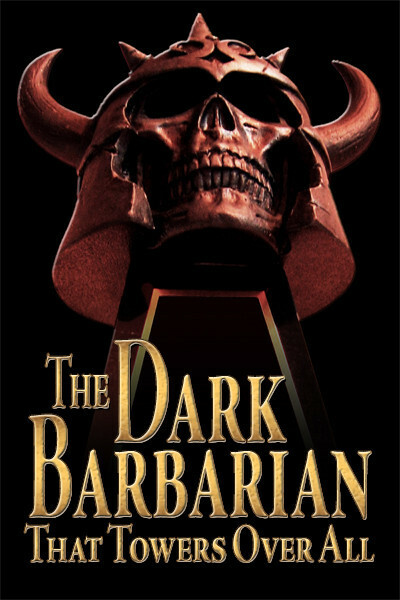 I’m sorry, but any fiction that can be outgunned by a book of litcrit just doesn’t look that hot to me. . . .
And I hear that Morgan is coming under some minor attacks on social media for his article on who finished writing the Robert E. Howard novel Almuric. The scenario is outlined on the blog A Shiver in the Archives — short version, there is a letter Farnsworth Wright wrote that more or less says that he edited the two drafts of the novel together and stuck an ending from the first draft on the more polished second draft. Yet who would believe that Howard wrote that ending, in that style? If someday the first draft of Almuric surfaces, then you’ll have new evidence to consider. Meanwhile, I think Morgan has the most definitive take on the issue thus far. One third of his hot bestselling TriplePunchPack. 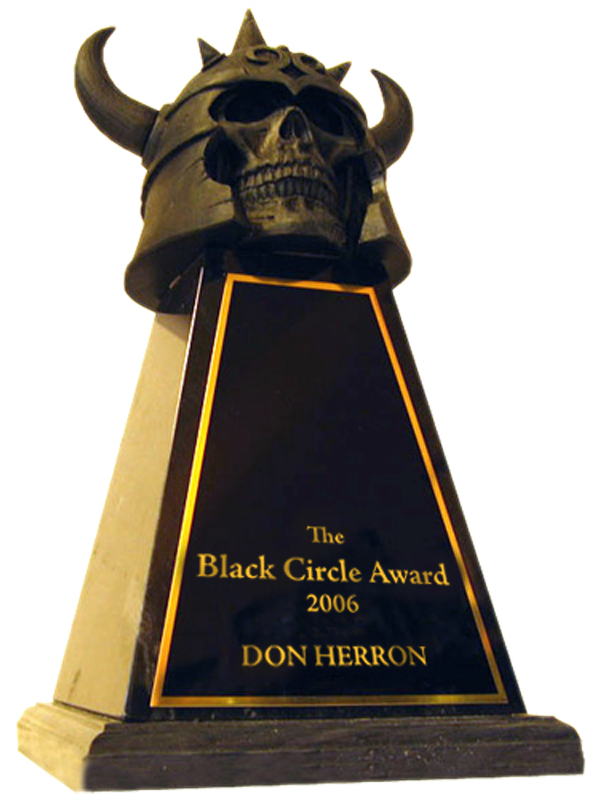 This entry was posted in News, REH and tagged A Shiver in the Attic, Almuric, Amazon, Farnsworth Wright, Hellfire Series, Hugh B. Cave, Hugo Awards, Jack Williamson, John D. Haefele, Morgan Holmes, stylometrics, Thomas Ligotti, TriplePunchPack. Bookmark the permalink.